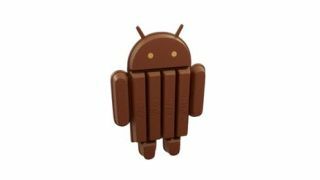 Update: Unfortunately, Galaxy Nexus owners will not be getting Android 4.4 KitKat. Google stated as much on a support page, noting that because the phone was released two years ago, it doesn't meet the 18-month window where devices normally receive updates. There's also word over at Engadget Spanish the phone won't get the upgrade because it carries a chip made by Texas Instruments, a company that no longer produces mobile silicon. Therefore, it wouldn't be able to provide support for the new operating system. Google hasn't confirmed this is the reason behind the decision, but it seems likely. It's lame to be sure, but then again, it's probably time for you to update your phone after two years anyway. The brand spankin' new Google Nexus 5 isn't the only device that will receive Android 4.4 KitKat. Announced today by Google, the Nexus 4, with Play editions of the Samsung Galaxy S4 and HTC One, and the Nexus 7 and Nexus 10 will also get a piece of Android KitKat "in the coming weeks." We'll probably even see the sweet new system on budget phones soon afterwards since the OS is compatible with as little as 512MB of RAM. Google notes on its developer site that, "KitKat streamlines every major component to reduce memory use" for a broader range of devices, meaning the whole OS has been condensed, along with memory used by Google services like Chrome and YouTube. More memory efficient apps can also be created. 4.4 KitKat is seeing a lengthy range of improvements; the interface is much cleaner and boasts changes like full-screen album art during music playback to better search options like new voice command options using "OK Google." According to Gizmodo, the OK Google feature requires heftier hardware like Snapdragon 800 so it's only out on the Nexus 5, but don't count out other Android smartphones yet since many are likely more than capable. Now with all the announcements about the Nexus 5 and KitKat out of the way, we have more time to sniff out more next-gen Nexus 10 news.